Finding an accommodation in one of the National Parks in Croatia can be difficult weather you look for an apartment, a room, a pension or a hotel in National Park Risnjak or other. As a tourist, you probably had heard of Croatia and its diversity, reflected in Nature and National Parks and you would like to book a private apartment in one of them to introduce the beauty of the nature and comfort of a holiday accommodation in Croatia. National Parks are protected pieces of nature in order to preserve natural eco-system; building of private houses with apartments for rent is not allowed in the area of National Park, and Risnjak is no exception. Risnjak is one of the least visited National Parks in Croatia; foreign tourists are rare, but not because of its insignificance or lack of beauty, but because of its location on the map and lack of advertising. Risnjak is actually just 15 kilometres away from the Adriatic coast, 35 kilometres from Rijeka and 104 kilometres from the capital city Zagreb. Although it is settled in the most forested part of Croatia, Gorski Kotar, and mostly covered with dense woods itself, it is also well known Park of its biological and geological diversity at 63,5 square kilometres of the protected area. 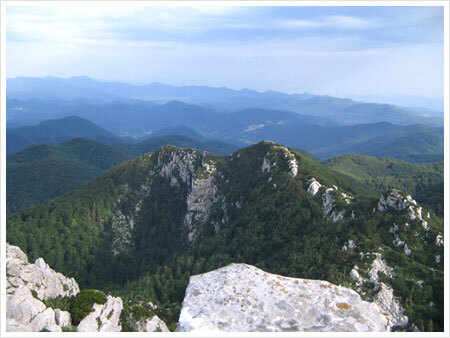 Risnjak is one of the favourite destination of tourists who practice active vacation and adventurous sports in nature. Range from 290 meters above sea level, in the valley of Kupa river, till 1528 meters tall mountain peak Veliki (Big) Risnjak, is an invitation to hikers, trekkers, climbers and alpinists from all around the globe.The sights worth taking such an expedition are numerous and diverse; fairytale valley Leska on the entrance in the Park, karsts sinkholes 200 meters deep, meadows Lazac and Šegine, valley and spring of Kupa river which is the 4th river by its longitude in Croatia, karsts slopes and peaks of Risnjak and Snježnik, tick wood Smrekovac and 1200 years old larch wood with the famous Bijele stijene (White rocks), stone hips as an agenda of never ending surprises of nature, the paradise for free climbers. Bijele stijene are created by tectonic forces during the tectonic folding period from a bedrock of layered limestone and massive limestone breccias. The most amazing formations, naturally carved in the face of white stone, surpass anything human mind might have conceived. The untamed beauty of the environment is an unforgettable experience for every visitor.And when we add flora and fauna of the Park with its surprises, visit to Risnjak is quite a good choice. 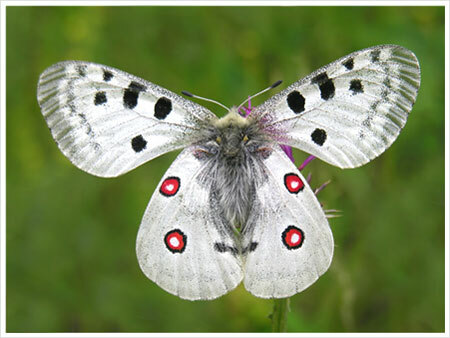 Among the great number of species with more than few endemic and jeopardised, there are few standing up. The most outstanding is ris, Eurasian Lynx, which gave the name to the Park. It is a middle-sized wild cat living at the area of Europe and Siberia. The thing is that lynx is almost exterminated in Europe, and this could easily be one of its last habitats. Do not worry about meeting lynx out in the open; he hunts only in the evenings and in the night, like all cats likes to sleep and lounge in his lair all day long.The way to the Park is easily to find; the highway leading from Zagreb to Rijeka has an exit to Delnice and Delnice is 12 kilometres away from Crni Lug, administrative centre of the National Park Risnjak, with the main entrance. And, finally, there you can find an accommodation. On the area of the Park, there is just a mountain lodge with 55 beds, but towns and villages outside Park area, like Crni Lug, Delnice, Ravna Gora, Fužine, are close enough to find comfortable apartment or a room. Restaurants and husbandries where you can taste traditional cuisine are easy to find. The only thing you have to do is to check schedules of the Park and the ways of transportation from the place you are settled. At the end, your summer holiday can be freshened by visiting this mountain paradise, even when you lodge at one of the famous summer tourist destinations at the coast, Rijeka, Bakar, Senj, Selce or so, which is close enough to plan an extraordinary one-day trip that will lead you to another dimension of existence and leave you with shudders of pleasure on your sun tanned skin. Hi, I am sending you a link to an interesting article!